Being the 21st entry in this long running franchise, I’d be impossible to draw some line between aspects of the movies that some would call formula. What started out as a company with some huge ideas fumbling around in the dark and trying to find their way has become a multi billion dollar enterprise with a very good idea of what works and what doesn’t. It’s a very difficult line to work, because with so many movies coming out a year, as well as competition from the entires of other source materials, recognising something as exceptional becomes more difficult when what we define as exceptional becomes the expectation. Had Captain Marvel come out in place of the first Guardians of the Galaxy, I really think it would have been a even bigger deal as Guardian’s expense when it eventually came out. But, before you get angry, looking at both movies in a vacuum, I still think Guardian’s is a better movie. Primarily because of the shift in tone and content of the MCU movies that is really the crux of this entire piece I’m writing: As the MCU has worn on, the focus has become less on its characters and more on it’s action and lore building. I was part way through writing another piece before deciding to combine it with this one, the main point of which was that Tony Stark is still the best “character” within the MCU. Sure, he’s been around the longest and has had more time to stew in Steve Roger’s juices. But he’s also a deeply flawed character whose revelations and growth only work to uncover more flaws in his personality. In comparison, we have the most recent new addition to the MCU in Carol Danvers. Carol is, honestly, a bit of a flat character, she doesn’t really go through a transformative journey in terms of personal character development, rather she just remembers the idealised version of herself she was all along. Her story is similar to Captain America’s. Which isn’t inherently bad, but again, it comes back to the issue of having so many movies within the continuity, it becomes difficult to stand out as something totally unique. 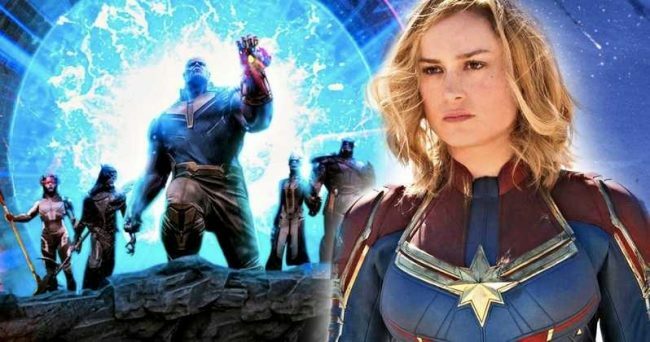 Carol’s journey is almost the same as Cap’s, the reveal that the authority she believed in was a like is straight out of Winter Soldier (and Doctor Strange). Marvel Studio’s best work has come from them putting the microscope a character and really breaking them down and letting us see what makes them tick. It’s not pretty, and it’s not a power trip, but it’s fascinating. 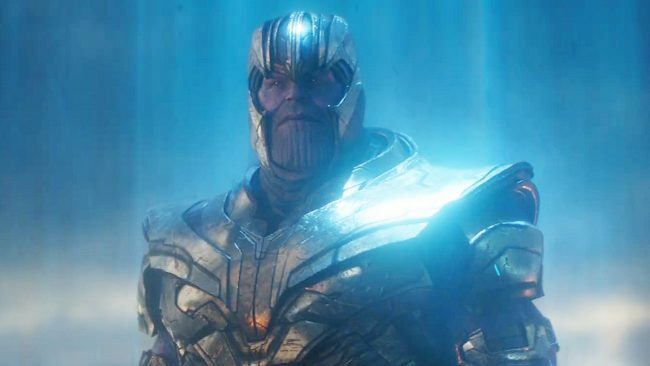 The dive into Thanos as the main character of Infinity War was my favourite thing about that movie by far. It’s rare for Marvel to really crack open a character like this, and honestly, we still only really know most of the characters in the franchise skin deep. Some of which because that’s just how deep they actually end up being. Which is really my issue with Carol, she’s likeable, but she’s not really that interesting. I mean, Sam Jackson kind of steals her thunder during most of their scenes together. The most interesting thing about Carol is the promise of what she might become in the future, its the thing I’m the most excited about anyway. One of my favourite parts of Captain Marvel was when she fully embraces her powers and goes on a rampage through the Kree Accuser fleet. She was overpowered in a way we’ve not seen before in the MCU. What Marvel have done have is plopped themselves right in the middle of their own little Superman dilemma. Carol is a supremely powerful, morally clear character. Sure, Cap is a fantastic Superman analogue already, but he doesn’t have the ability to glide through though a ship’s hull with minimal effort. Carol’s entire journey throughout this movie was proving people wrong, showing those who underestimated her that she not only could do what they do, but do it better. This was all learned through subtext though, through passing lines in flashbacks. The events of the movie themselves never overtly bring up the fact that she’s a girl, even though that is very obviously a bulk of her jounrey. Maybe that’s why it all felt a little flat, because it didn’t want to take a stand like Wonder Woman did. In my time watching the movies of the Marvel Cinematic Universe, the longer they’ve gone on, the less they seem to flesh out their characters this overtly. Strange’s turn from jackass to altruistic intellectual felt fast, Scott Lang doesn’t feel like he has a character to develop and Peter Parker is so clearly defined as a character that it’s difficult to do anything with him we haven’t seen before. 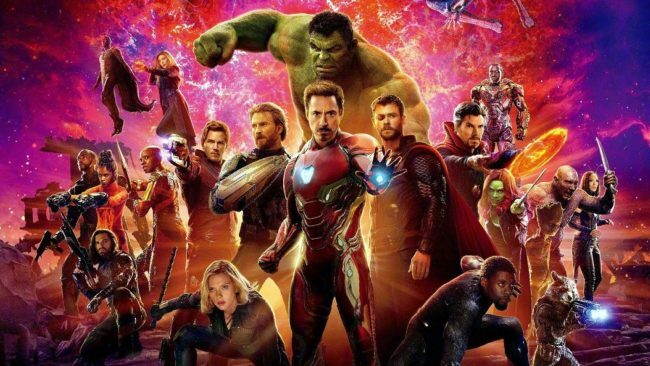 And yet, here we are, about to arrive at movie 22 and Tony Stark still feel like a character who can grew, learn something new and change out of the other end. 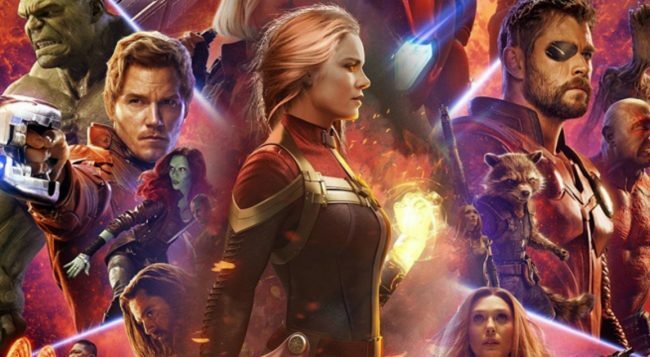 Posted on April 8, 2019 April 6, 2019 by WooderonPosted in Features and/or Ranting:, MoviesTagged avengers, captain marvel, carol danvers, endgame, iron man, marvel, mcu, thanos, tony stark.